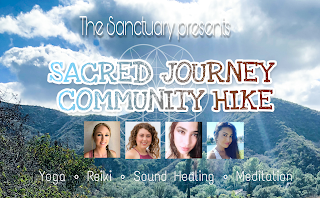 Join us for a relaxing all levels hike through the gorgeous Modjeska Canyon, Yoga flows, and deep meditation journey with reiki and a healing sound bath! This special hike, led by Kendra, will surround you with gorgeous scenery and the smell of sage. Reconnect with yourself, your health, through the beauty of nature with an invigorating fresh air. Grounding & Meditative yoga flow led by Devina, followed by a restorative yoga flow by Olivia, then be gently guided into a healing sound bath meditation journey by Naseem. We will be meeting Modjeska community park off of Modjeska canyon road near the fire station.